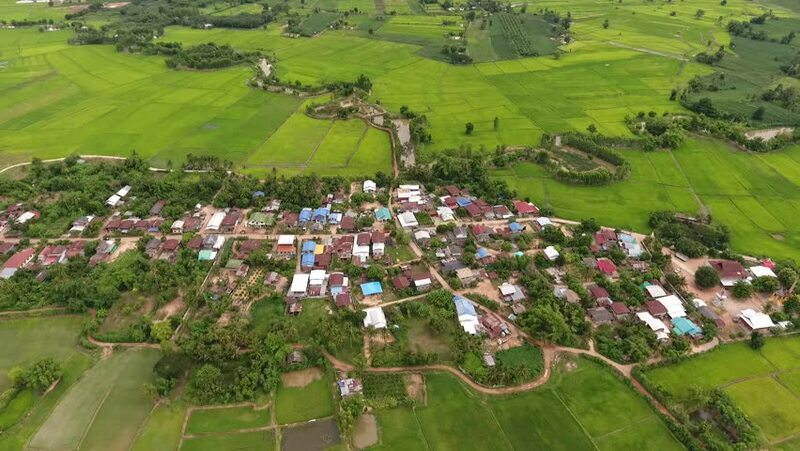 Aerial view of paddy field ,village ai n Thailand. hd00:19Aerial view of settlement with church, cemetery, clergy house and school on the hill in Prusiny, Nebilovy, Czech republic, European union. Beautiful scenery in rural countryside.